Want a gift you can actually wrap? And that you can wrap up in, too? So, if you’ve been to my apartment for a coaching (or a dinner party) you know I’ve got a mix of functional, slightly mid-century modern and farmhouse/cabin-in-the-woods decor. And nothing says cabin-in-the-woods like snuggling up in a Pendleton blanket. And at this time of year they are all in use. On the bed, on the sofa, on my reading chair, rolled up as a prop for yoga… I love them. 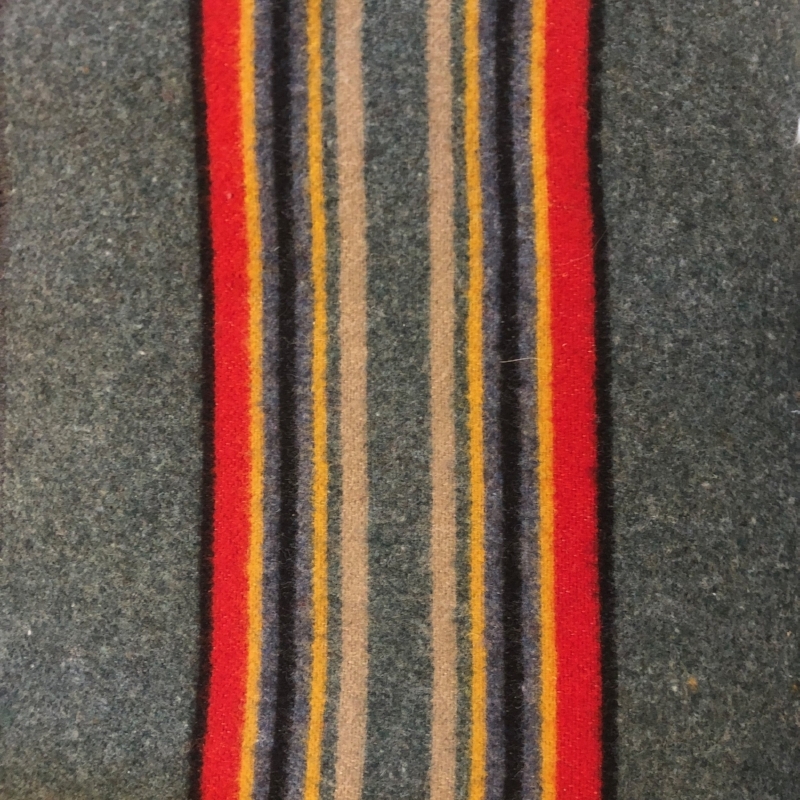 I bought my first Pendleton blanket at the factory store in Pendleton, Oregon while driving through the country on the first national tour of Monty Python’s Spamalot. During that tour my first really serious relationship (and shared household) dissolved. The second half of that tour was a literal wandering in the wilderness for me. I discovered a latent love for hiking and camping, and spent countless hours alone in the woods, driving through mountains, soaking in remote hot springs. My very first Pendleton blanket, purchased in Pendleton, OR, during the first national tour of Spamalot. It’s still at the foot of my bed. 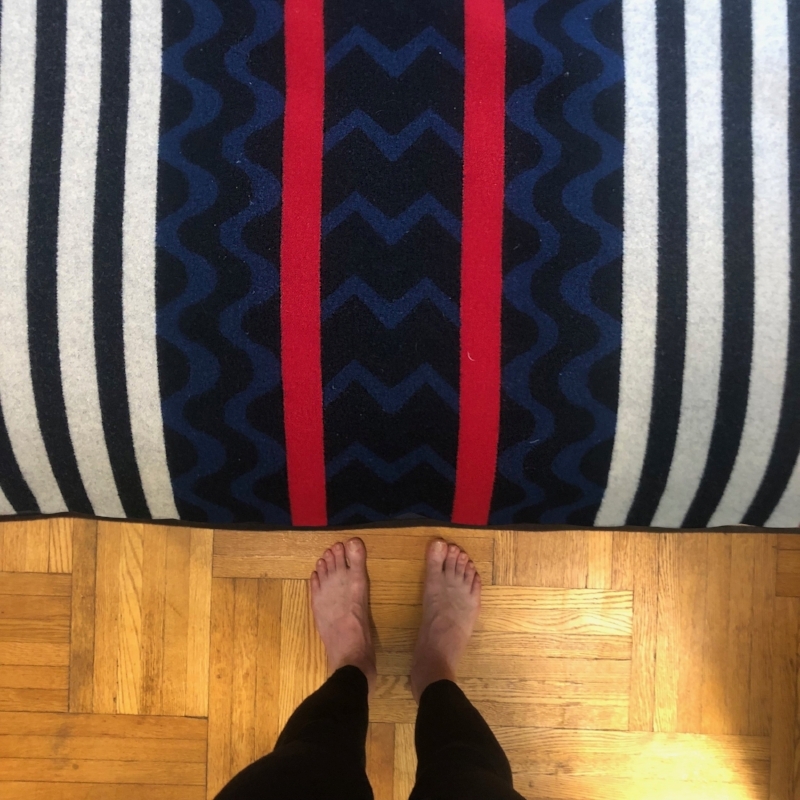 Buying this Pendleton blanket marked the beginning of even thinking about reconstructing a new home for when I would eventually come off the road. Giving one to someone else is like giving them a endless supply of hugs. 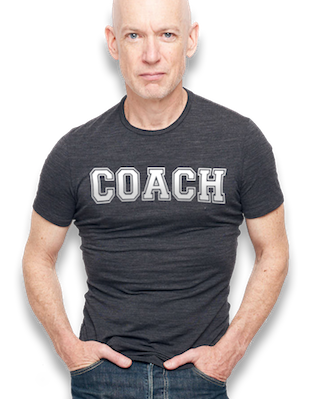 Giving one to yourself is just the right thing to do. PASS IT DOWN FOR GENERATIONS. 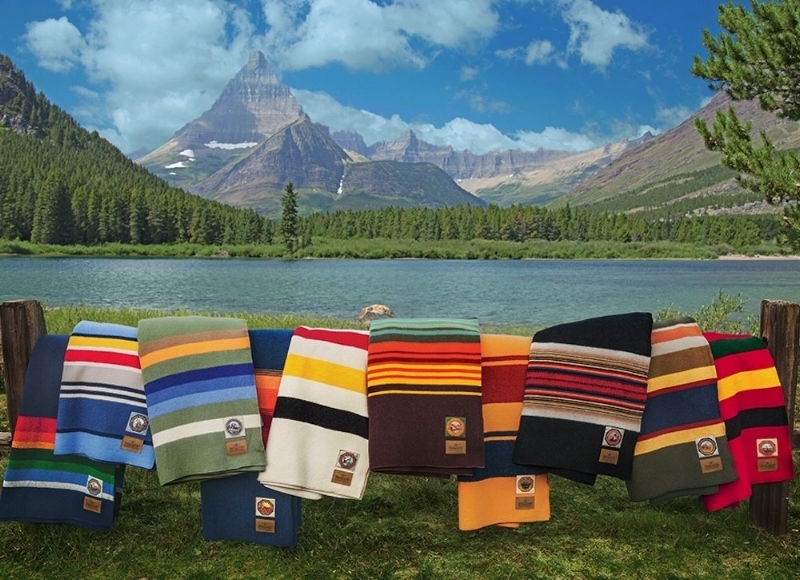 Through licensed National Park Collection products Pendleton is proud to support two park restoration projects through a donation to the National Park Foundation, the official charity of America’s national parks. So far, through Pendleton’s initiatives with park series blankets and collaboration partners, we are closing in on 3/4 of a million dollars for two projects!